When Epoch Farm decided to build a new 20 stall barn, our primary goal was to create what we felt was the best blend of structural soundness, ergonomic design, convenience, and most importantly, safety. The result is a main barn built on a base of 6 inches of high density, reinforced concrete flooring completely covered in 3/4″ thick rubber mats. The mats have proven to be a very safe footing, minimizing slips and falls. They also help the horse’s joints from becoming stiff. Going up from there, each 12ft. x 12ft. stall has a 10 foot ceiling and is of solid filled concrete block construction with 2″x 8″ red oak divider walls. The walls are solid from the floor up to a height of 4 feet 8 inches, then have 2 inch slats up to their top height of 8 feet. 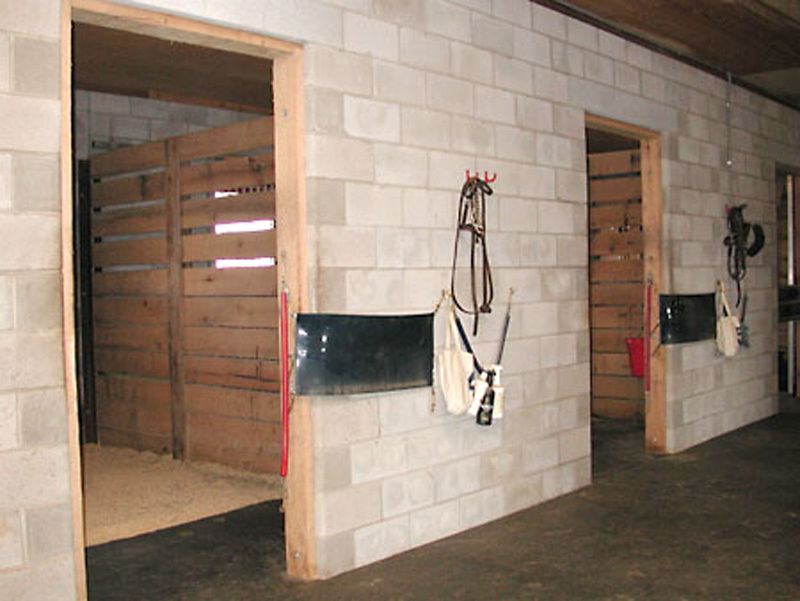 The slats service both as a means of ventilation for the entire barn and have the additional benefit of letting the horses see their buddy next-door. Each stall has an individual exterior access door with sliding window, and an inner heavy-duty welded aluminum screen. 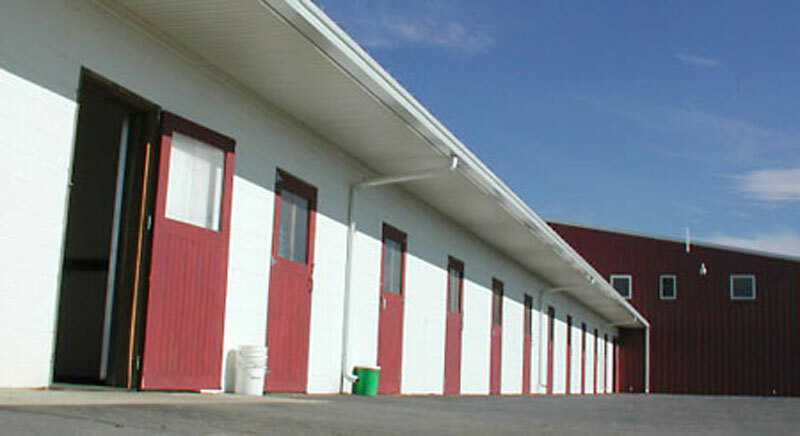 The stalls also have a standard interior door opening into the barn aisle way. All stalls include an automated and well regulated fly spray system. Attention is given to every detail even down to a 4 foot roof overhang on exterior walls so the stall windows could be left open when it’s raining. This provides for both ventilation and safe access in all conditions.